Hollywood U2 is the World’s Greatest U2 Tribute Band and the only to be endorsed by Ryan Seacrest and Mark Cuban as seen on their AXS.tv show. They are the only U2 Tribute to be chosen for this show and the first band to be invited back by popular demand a second time to perform live on this National TV show. Lead singer Joe Hier was invited by Bono on Stage at the Forum during U2’s i.e. Tour and performed a duet of “The Sweetest Thing” with Bono and U2. The Wall Street Journal listed this performance as #2 in the TOP 10 Must See Performances of U2’s i.e. Tour a list that also included Bruce Springsteen and Lady Gaga. Bono said of Joe Hier “He was the split of me”, “He sang beautifully…” The Edge said “He knew the song… better than we did”. 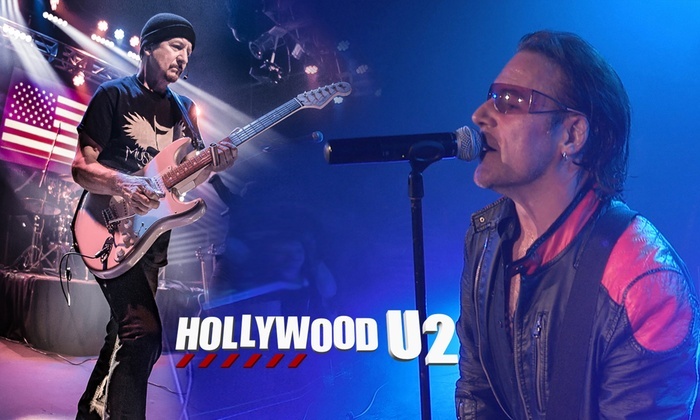 Hollywood U2 perform the music of U2 with the care and precision it deserves, unlike any other U2 tribute, performing U2’s songs in the original album keys, reaching those high notes and singing with the heart, soul and passion of U2. This is a U2 Tribute concert you don’t want to miss.